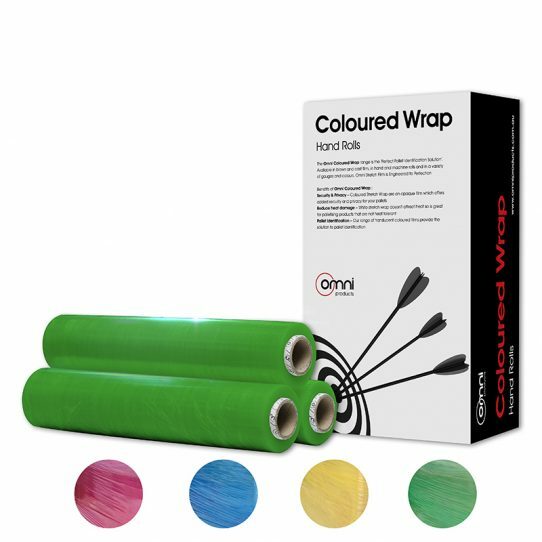 The Omni Coloured Stretch Wrap range is available in hand and machine stretch wrap rolls to suit both application methods. Our Hand Cast Stretch Film is produced in blue, red, yellow and green. The Coloured Stretch Wrap offered by Omni is ideal for distinguishing palletised products and is known as the ‘Perfect Pallet Identification Solution’. It helps you to mark the items that belongs to your brand and also categorize them as per their handling requirement, sensitivity and several other factors. Not sure what type of stretch wrap you require? Click here to contact us. Omni Coloured Stretch Wrap has been Engineered to Perfection.